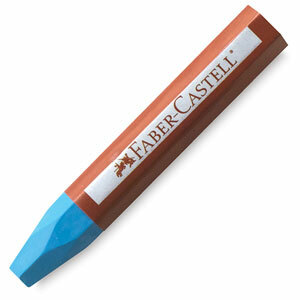 With a unique, easy-to-handle triangular shape, Grip Oil pastels are ideal for the young artist. Rich, bright, opaque colors blend together easily and can be smoothed and thinned with baby oil. This set includes the following colors: Yellow, Pink, Light Green, Orange, Light Blue, Red, Brown, Deep Blue, Violet, White, Black, and Deep Green.